Mostly Books is where readers in Tucson go for adventure. Please stop by on Saturday, January 30th at 2pm to meet me there! Save it in your calendar now. Check out this link to the event. I’ll be reading the scene ‘Saint Varten’s Park’ from WISDOM. After that, I’d be so pleased to sign your copies of WISDOM and REBELLION. 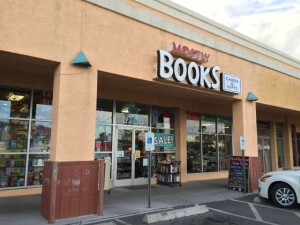 Mostly Books is at 6208 E. Speedway at Wilmot Rd. You can call them at 520-571-0110. Here’s the link to the map.